We’ve been getting a lot of requests from people if we can help them move their data from Backpack to Papyrs. Last year the people behind Backpack decided to start phasing it out (also see Why Backpack is getting phased out), so naturally a lot of people are looking to move to other products that are still in active development. Today we’re launching Import from Backpack. A one-click way to transfer all your Backpack Pages directly into Papyrs (well, technically three clicks). As you can see in the image Below – Pages are imported pretty accurately! Papyrs imports Notes, Headers, Itemized Lists, links, and so on. 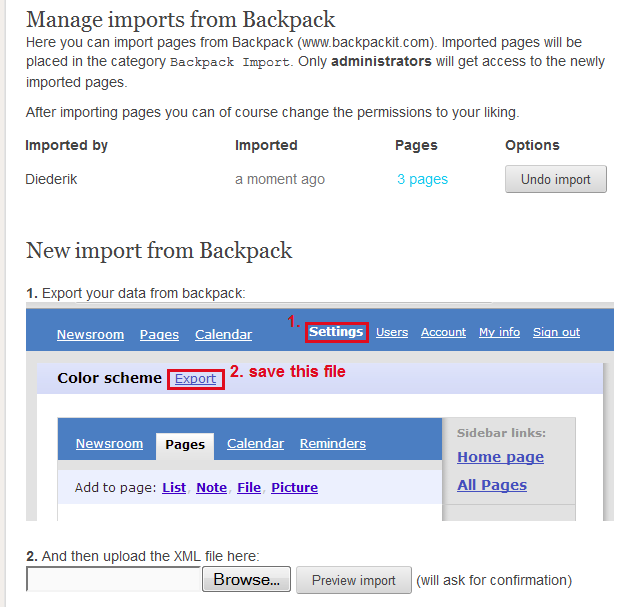 Click on “Browse” near the bottom of the page and select “export.xml”, the file containing your Backpack data. Click “Preview Import”. 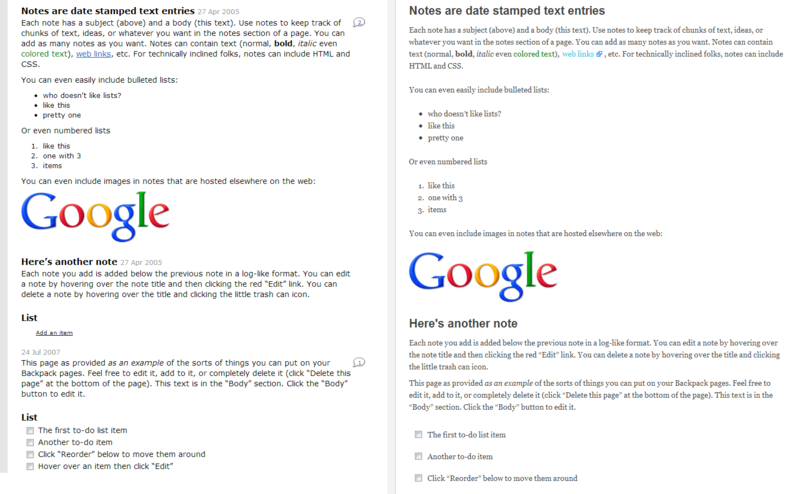 Here you can check if you want to import these pages into Papyrs. You’ll get a list of Pages that can be imported into Papyrs. Only you and other administrators will be able to access the newly imported pages. Click “Import!” and after a moment (or a few moments if you have a lot of data) all pages have been imported into your Papyrs account. If the Pages didn’t get imported right or if you want to get rid of the pages for another reason, just click on “Undo Import” (see picture) to delete the imported pages. Unfortunately we can’t import everything from Backpack. This is because Backpack’s XML export function is somewhat limited. Backpack doesn’t export all comments, doesn’t export permission settings, doesn’t export user information, doesn’t export writeboards, nor Journal information. Even images and attached files are sadly not exported from Backpack. And we can’t import to Papyrs what Backpack doesn’t export. This entry was posted in General on February 6, 2013 by Diederik.